30-inch Cinema Display, Backward compatible with 20 and 23-inch Cinema Display. Cinema Display (30-inch DVI), Cinema Display (23-inch DVI), Cinema Display (20-inch). 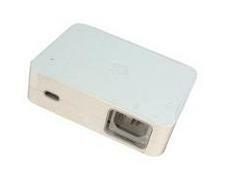 150W 30-inch Cinema Display power supply also can be used with 23-inch Cinema display. We came across couple of 23-inch Apple Cinema Displays which didn't want to turn on with 23-inch power adapter. If your 23-inch Cinema Display does not respond to 90W power supply , you can give a try to 150W power supply. If your cinema display detects the wrong power adapter connected to it, it will flash its power light in a repeating short-long-short error code. Check the link below to learn which power adapter to use with the display. You might see other part numbers on your old 661-3356 30-inch Cinema Display power adapter, possible numbers are 611-0390, 611-0346, A1098.